Buying your property, getting your home loan is only the first part of your home ownership tasks. What happens when home owners collect their keys to their condominiums when it achieves Temporary Occupation Permit (TOP) status? Home owners will conduct new condominium defect inspection before the start of any renovation work. How can you make sure your new condominium does not have persistent and long lasting problems handed over from the developer to you? VI: We see increasingly more reports on defect cases in condos, ECs, BTO and DBSS projects, such as The Sail @ Marina Bay, The Seaview, The Coast, RiverParc Residence, Austville Residences and Trivelis. Some even have to be settled in court. What went wrong? Is the standard dropping for building quality in Singapore residential homes? WK: Residential projects may encounter problems at various stages of occupation. Some of the projects which you have mentioned are in the news for post-DLP (Defects Liability Period) problems or maintenance issues which could be attributed to many different reasons, including but not limited to poor workmanship. As for the building quality of newly TOP projects, we have been inspecting new houses for the past few years and we still see many workmanship defects on a daily basis. Nevertheless, we do not see a significant drop in building quality. In my opinion, the perceived deterioration in building quality could be due to a heightened awareness amongst home owners on building defects due to increased sharing of defects- related news via new media, such as Facebook, blogs, online portals, etc. In the course of our work, we have also observed that many defects were a result of rushed work execution and lapses in site supervision or quality control during the construction stage. Rushing is never ideal, however, it is in everyone’s interest to have a project completed as soon as possible so that home buyers can get their houses earlier while the developer and everyone down the development and construction chain get their payments faster too. The ABSD which requires developers to pay on land cost with interest if they can’t build and sell their units within 5 years from their land purchase could also be a contributing factor. 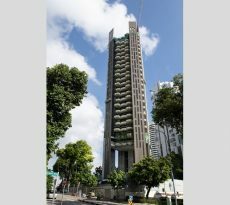 Developers and their contractors have to rush for the completion to qualify for ABSD remission. A balance between construction speed and quality needs to be achieved for the best outcome. VI: How many new home owners are going to collect the keys to their units this year? Which projects are obtaining their TOP (Temporary Occupation Permit) in 2018? WK: According to URA statistics, close to 15,000 private residential units and executive condos are going to obtain their TOP in 2018. These projects include Wandervale, Sol Acres, The Criterion, Marina One, etc. Some projects, for instance, Coco Palms and Commonweath Towers, have already started issuing keys to the owners in January 2018. I believe there should be at least another 15,000 units from BTO projects completed this year too. 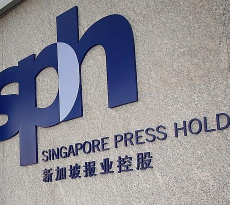 HDB will have the most accurate figures on this. VI: What is the biggest mistake owners make after they step into their new homes? WK: Excited owners, especially inexperienced first-time home buyers, often have no clue on what things to check in a newly handover unit. Most owners would google for some tips and checklists online and use these as reference to go through a simple check and report some surface defects. Then they go straight into renovations so that they can move into the new place in the shortest time. Unfortunately, inspecting a house is not as straightforward as following a checklist and ticking off the items in the list. The construction of a house requires multi-disciplinary engineering knowledge to design it and involves the works of numerous trades and specialist works. Simply put, unless you have some construction experience or engineering knowledge, it is definitely not prudent to carry out your own checks on your property which is often your most valuable asset. Then there are also latent defects that may only start to surface after owners have moved in or lived there for some time. By then it is difficult to do rectifications without damaging the renovation work. Also, the 12-month defect liability period offered by the developer may have already expired and it can get a bit tricky depending on the situation and nature of the defect that you are reporting. VI: What are the problems DIY owners face in the defect inspection process? WK: Owners who do it the DIY way will be able to find cosmetic damages, such as stains, dents, chip, scratches and cracks on the floors, walls, ceilings, windows and doors, etc. However, if they have no construction experience or knowledge, it will be a challenge for them to inspect the other parts of the house, e.g. the electrical, plumbing, sanitary and drainage systems. More often than not, the non-cosmetic defects are the ones which will affect the liveability of the house, not so much the cosmetic defects which home owners endeavour to catch. Then there is the challenge of describing the defects found accurately. Most laymen would not know the technical terms to describe the defects accurately for the contractor to understand and rectify. In our course of work, we have seen that this often leads to miscommunication with the contractors and sometimes they end up rectifying the wrong things instead of the ones that bother the owners. Lastly, there are instances where the developer and contractor may tell the owner that the items being reported are not defects or within the acceptable tolerance. The defects team could be telling the truth, but without the relevant knowledge, how is the owner going to verify this? Who is there to protect his or her interest in such a situation? VI: Can outsourcing the job to an outside company solve all these problems? WK: It depends on who you outsource the defect inspection job to. Currently, there is no government control or licensing on people offering defect inspection services. The entry barrier is very low, which is why it is not uncommon to see property agents, interior designers and renovation contractors doing this too. Some even offer it as a free service in their service package. Such free service may not protect home owners’ interests for many reasons. Firstly, these people haven’t undergone any proper training in defect inspection and may not have building and construction background. Many do this only as a side business. Secondly, there is a clear conflict of interest between defect inspection and their core business. The more thorough an inspection is done, the more defects one is likely to identify, and the longer the defects rectification period becomes. This directly delays the renovation commencement or prevents a tenant from moving into the house and the like, and affect their income and cashflow. There are no free lunches in this world. VI: How can owners know that the defect inspector they engage is a professional one? WK: To our knowledge, some defect inspection companies are using laymen with minimal construction/engineering knowledge as “professional” inspectors to check houses for unsuspecting home owners. So how can owners tell whether the company they are engaging can conduct a proper new condominium defect inspection? First, check their track records and credentials. Call up the company and ask questions about the problems in your house and listen to how they answer your questions. It is quite easy to discern the differences between a professional inspector and a layman inspector. Take a look at their clients’ testimonials too. If a company has hundreds of testimonials and reviews with details and examples of what they did right, chances are these reviews are authentic. Most of us can probably afford only 1 or 2 houses in our lives. It makes sense for us to get the best inspection company to check our house which is our most valuable asset. Expertise and experience matters most and price should be the last thing you want to base your selection on. I feel that as a professional defect inspector, one should at least have some engineering and construction knowledge, as well as proper training and extensive on-the-job experience. How much experience is adequate? There is no hard or fast rule. But as a reference, all my senior inspectors have conducted at least 600 to 1,000 inspections in their career with us so far. 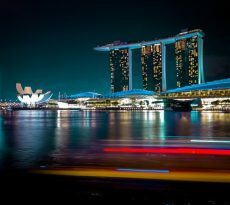 My chief inspector has done more than 2,000 inspections, while I have personally conducted more than 3,000 inspections in Singapore and Malaysia alone. This is the kind of experience which allows us to give our home owners the assurance that we know what we are doing. VI: When home buyers are buying off-plan in an uncompleted project, what are the things they should look out for? WK: When buying uncompleted residential projects, home buyers should look out for the experience and reputation of both the developer and the builder. Check their past projects and references. See whether they have done similar scale of projects in the past. Developers who are first-timer in residential projects have a steep learning curve compared with experienced ones. Also, google for previous complaints or feedback on poor workmanship, latent defects, problems encountered in the maintenance of common areas, etc, from owners of their past projects. Find out how the developer had dealt with the incident. This will give you some hints on what will happen when a similar situation happens in your project. VI: Any tips for home owners who are undecided about engaging a professional inspection company but want to get started on their home inspection? WK: There are a thousand and one things to check in a house so I think the least a home owner can do is to check the house systematically so that nothing is missed out. You can try dividing a house into various categories, e.g. floor, walls, ceiling, doors, windows, carpentry, and M&E (Mechanical & Electrical) systems and check them one by one. This will ensure that you do not miss out any part of your house. Try to paste stickers to mark out the defects you found so that it is easy for you to document them later on. In case you got lost halfway through the checks, the stickers also serve as an indication that you have checked that area previously. We would also advise that home owners attend our talks and sharing sessions at the various property events and furniture or renovation fairs to pick up some basic new condominium defect inspection tips. Even if they are not our clients, it is still useful for them to gain some basic knowledge and protect their own interests during the entire defect inspection process. New Condominium Defect Inspection – Why outsource it? New Condominium defect inspection takes a lot of time and effort. Usually a new home owner has many tasks at hand to worry about, such as arranging and thinking of renovation ideas, buying furniture, etc. It is often very stressful for the home owner to conduct their new condominium defect inspection as every discovered defect is like a knife though the heart. Get in touch with the Expert Defect Inspection people. 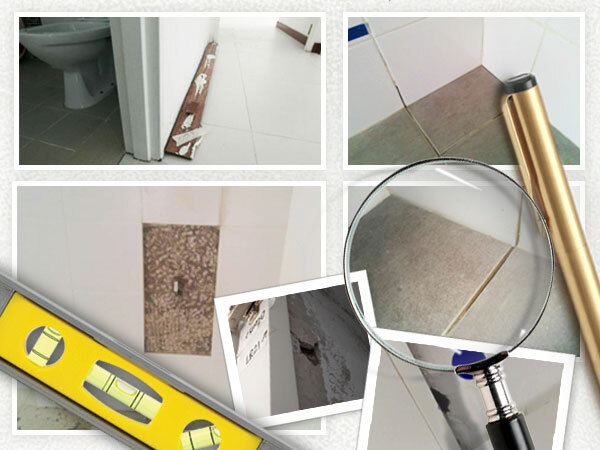 With a lot of En bloc sales supply pipeline coming up, and a lot of property supply in the pipeline, we are sure that New Condominium defect inspection is an area where home owners will increasingly need more help. Vina Ip (a.k.a. Property Soul) is a property enthusiast. She bought her first condominium unit for rent in 2002. In the next 4½ years, she built up a portfolio of five private properties. In 2010 and 2011, she sold four of her properties, realizing a net profit of 80 to 120 percent. Vina’s blog PropertySoul.com (http://propertysoul.com) was set up in 2010 to share her property investing experiences with fellow investors. Her blog posts are frequently quoted and reposted at YahooNews, TheFinance.sg, Singapore Investment Bloggers, PropertyGuru.com, Propwise.sg and other financial blogs. PropertySoul.com has recently been awarded Top 75 Property Investment Blogs in the world by Feedspot.com and is the only winner from Singapore. In 2014, Vina published her first book No B.S. Guide to Property Investment - Dirty Truths and Profitable Secrets to Building Wealth Through Properties. The book immediately became a bestseller at Kinokuniya and Times bookstores and it is now on its fourth print. 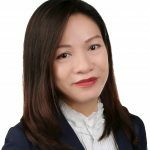 Vina also founded Property Club Singapore (http://propertyclubsg.com) to provide a neutral platform for the learning and networking of property buyers, investors and owners. Seminars, talks, workshops and networking sessions are organized regularly for club members.